No, you weren’t dreaming on Sunday. Going from underdogs to top dogs, the beloved Philadelphia Eagles managed to defy Super Bowl expectations by outplaying the Pats and taking home the Vince Lombardi Trophy. 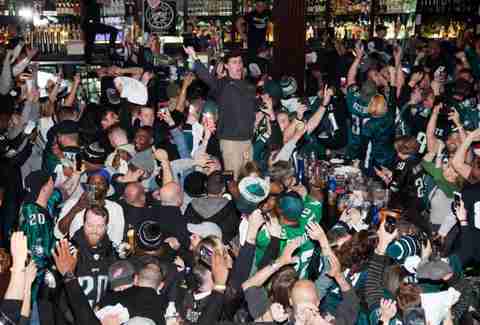 And, naturally, Philadelphians have been freaking out ever since. 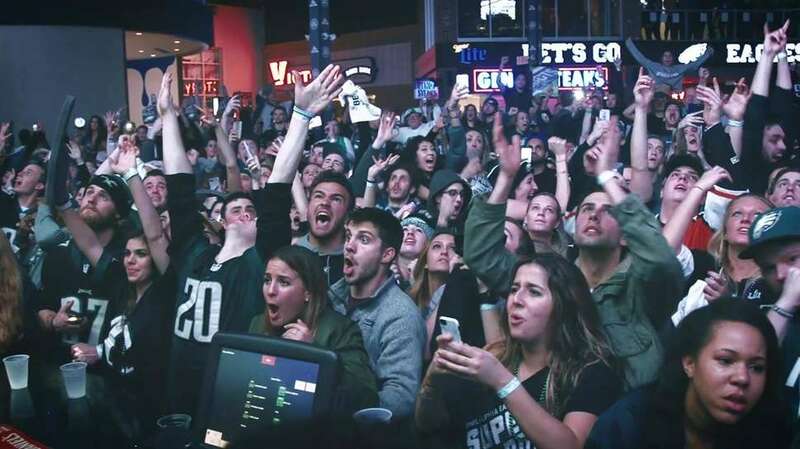 To celebrate the Eagles’ first Super Bowl win in franchise history, the city is hosting a championship parade and ceremony on Thursday, February 8, but before you gather your crew and hit Broad Street for more partying, there are some things you need to know. Here are those things. The parade begins at 11am, starting from Broad and Pattison and then heading north on Broad to South Penn Square. From there, the route swings around City Hall, going west to 15th Street, north on 15th to John F. Kennedy Boulevard, and west to 16th Street to the Benjamin Franklin Parkway. The final stretch is up the Parkway to Eakins Oval to the Philadelphia Museum of Art, where the ceremony is slated to begin at 1pm, with Mayor Jim Kenney and Governor Tom Wolf both scheduled speak. Oh yeah, and the whole Eagles team will be there, too. Where are the best viewing spots? While the entire parade route is sure to be swamped by thousands of excited bodies, there are some prime spots to try to stake your claim. In general, anywhere south of City Hall along Broad Street should be a little easier to access. You can watch the parade kick off down by the stadiums at Broad and Pattison or hang out in Marconi Plaza along Broad between Bigler and Oregon. The Ellsworth-Federal Broad Street Line stop is the last chance you’ll have to hop off the subway before hitting Walnut-Locust (sure to be swamped). If you exit at Ellsworth-Federal and walk south, you may have luck there, too. If you head up to Washington, you’ll be in the vicinity of a bunch of port-a-potties -- which, depending on how you’re feeling, might be a great thing. And if you’re brave enough to face the crowds (and the elements) at from Locust up to City Hall, just know this: you’d better get there early. That said, with the jumbotrons and the ceremony at the Philadelphia Museum of Art, the Parkway may not be the worst place to be. Remember when the Pope came to town in 2015? The crowd on the Parkway was estimated at around 142,000 people from Logan Square to the Philadelphia Museum of Art. That’s how many of you can probably cram in there on Thursday, too. Where do I get my free Bud Light (and Yards) beer? Keeping good on their promise to fuel the city with free beer, Bud Light reps will be at multiple bars along the parade route handing out free beer to anyone over 21-years-old. If Bud's not your preferred brew, you're in luck: not to be outdone, the fine folks at Yards Brewing Company are also pouring free Philly Pale Ale pints at their new taproom on Spring Garden. Leave your backpacks of beer at home -- they will be confiscated. What'll the weather be like? Thursday’s weather is set for a high of 34 degrees and sunny -- in other words, layer up in every item of Eagles gear you own and bring some sunglasses as well. Should I drive or take a train into Philly? It’s definitely best if you don’t drive. SEPTA is offering free rides to select stops on the Broad Street and Market-Frankford lines, but be prepared to wait in line, as all other train stations are closed the entire day. Service will run every five to seven minutes. Based on crowd size, stations are subject to close (hooray!). Regional rail schedules will be impacted as well, with only inbound trains running in the morning and outbound ones in the afternoon. PATCO will run on a modified schedule, too: starting at 6am, only westbound trains heading into the city leaving from select stations will be offered. At 1:20pm, only eastbound trains will depart from select stations. 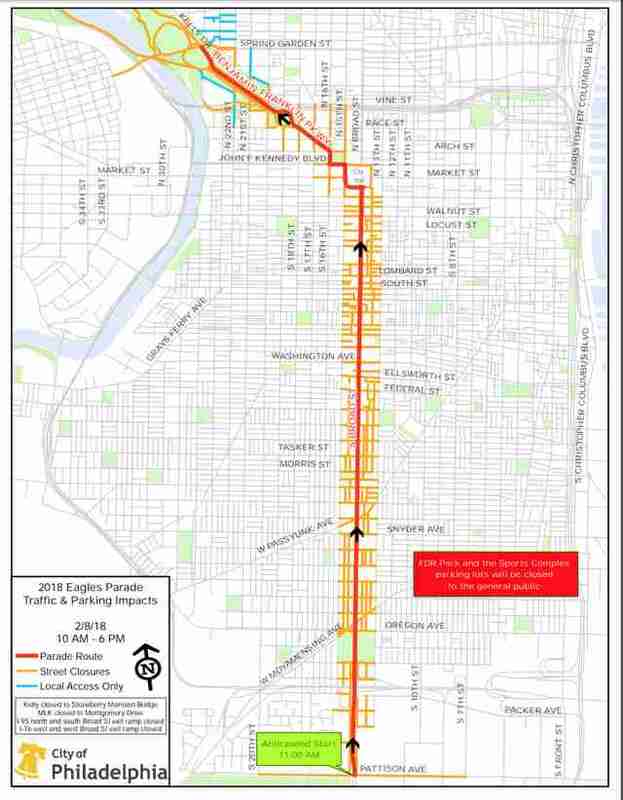 Get ready for lots of shut down streets surrounding the parade route and the art museum for basically the whole day on Thursday. Starting at 5am, major roads around the Philadelphia Museum of Art will be closed, South Broad Street shuts down at 9am Most roads should reopen by 6pm. Basically, lots of the city will be on lockdown. A full list of road closures and temporary parking regulations can be found here. Where can I party afterward? How do I watch on TV or online? 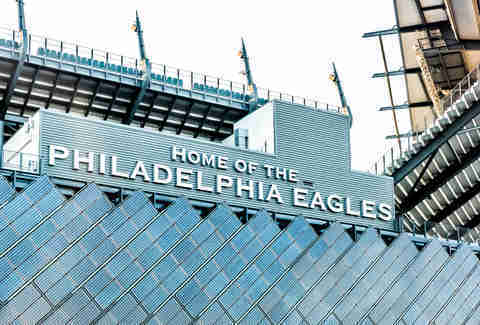 The festivities will air live on NBC10 and NBC Sports Philadelphia, and a live stream will be available online at NBC10 and NBCSportsPhiladelphia.com. Medic tents will be set up at 24th Street and the Parkway and 21st Street and the Parkway. 850 port-a-potties will line the route. The route will have plenty of barricades, too, so no rushing the street, OK? You can also text ReadyEagles to 888-777 to sign up for free text alerts about the parade.